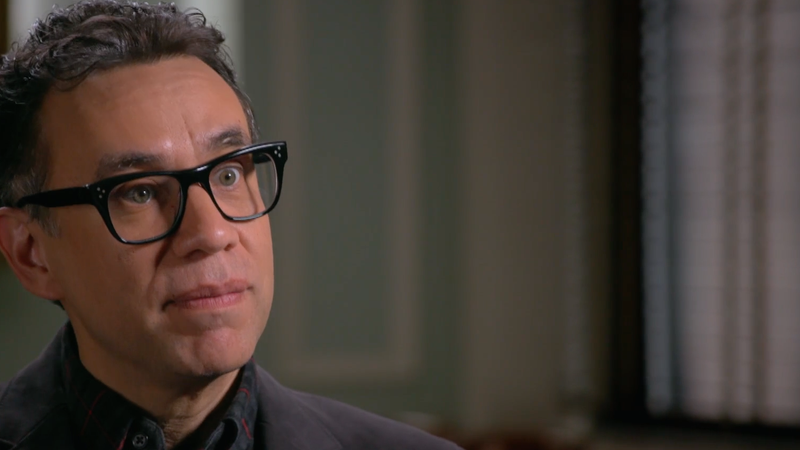 Last January, Fred Armisen appeared on The Tonight Show With Jimmy Fallon, during which he told his former Saturday Night Live castmate about traveling to Japan to learn more about his paternal grandfather, the dancer and choreographer Masami Kuni. The Portlandia star mentioned that he was inspired to learn more about Kuni after an appearance on PBS’ ancestry series, Finding Your Roots; what he didn’t share on The Tonight Show couch is the additional layer of intrigue revealed during his visit with Henry Louis Gates Jr.
As seen in this exclusive clip, Finding Your Roots uncovered a 1944 report from the U.S. Office of War Information that suggests Kuni moonlighted as a spy for Japan while employed in Nazi Germany during the ’30s and ’40s. It’s not exactly Larry David learning that he’s related to Bernie Sanders, but it’s worth it to see the typically poker-faced Armisen’s reaction to the news—particularly in light of the emotional roller coaster that sets up the reveal. Armisen’s episode of Finding Your Roots also features Christopher Walken and Carly Simon, and it debuts tomorrow, October 10 at 8 p.m. on PBS member stations.